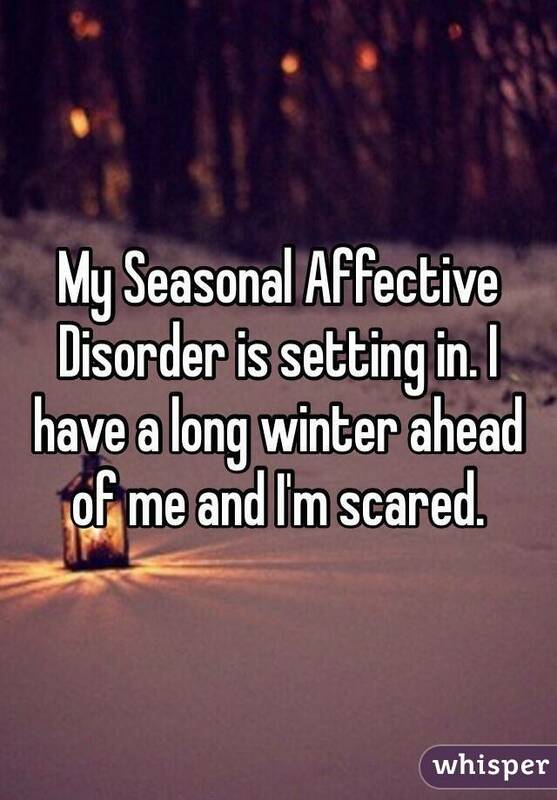 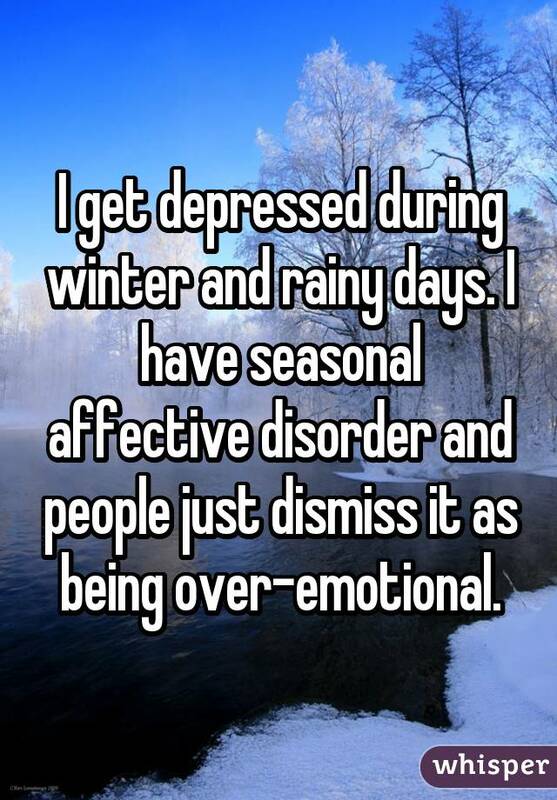 Seasonal affective disorder, otherwise known as SAD, is a depression that coincides with the changing of seasons. 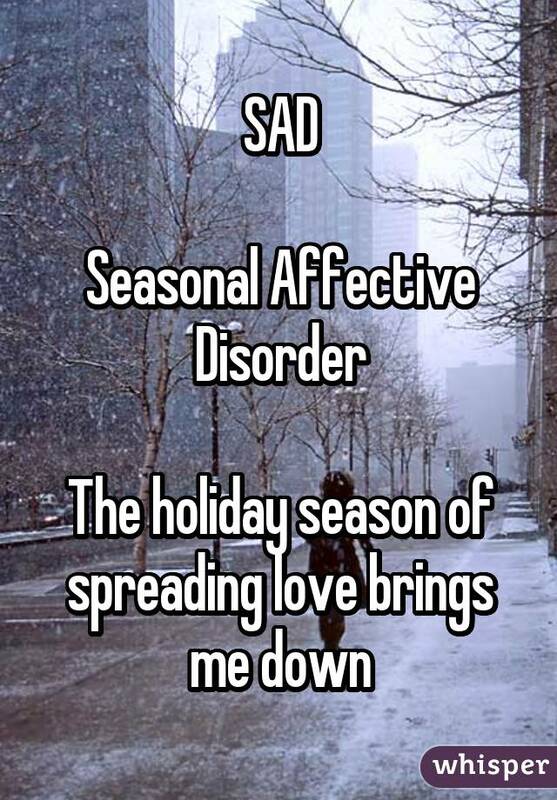 SAD typically onsets during the autumn, and lasts throughout the winter months. 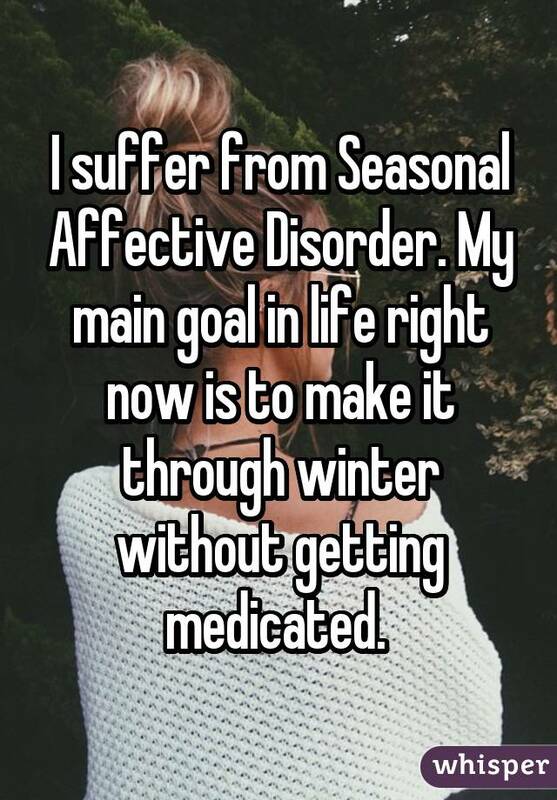 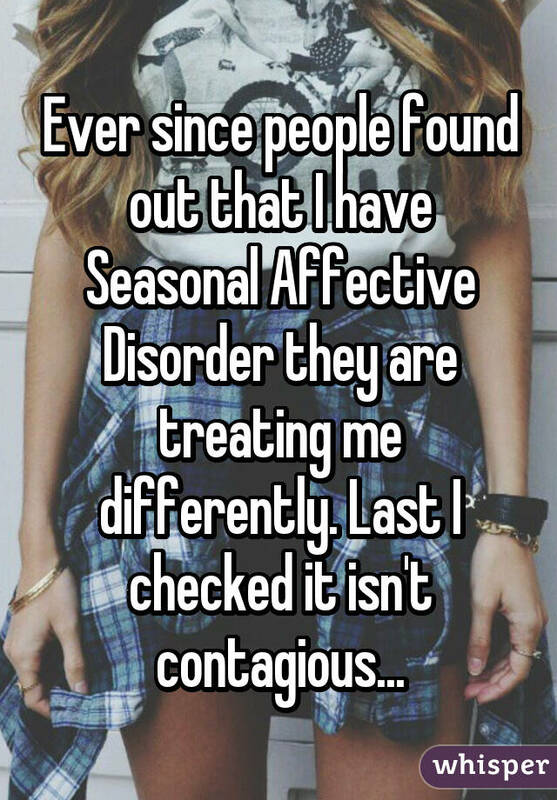 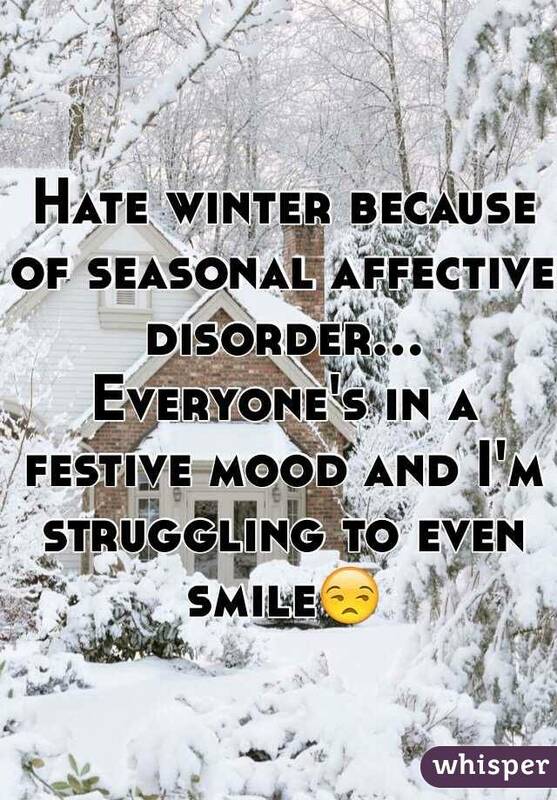 Not everyone realizes that this is a real disorder, not just a case of the winter grumpies. 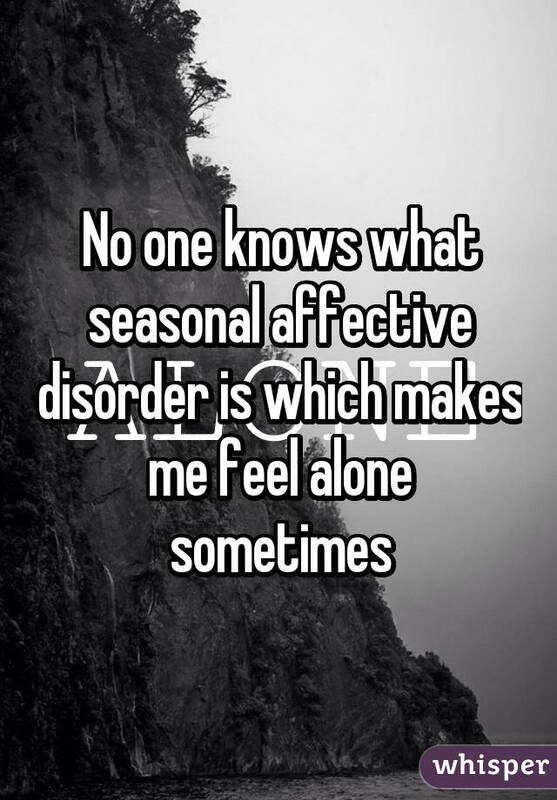 This can make it extremely difficult for people who suffer from the disorder -- they are not always taken seriously. 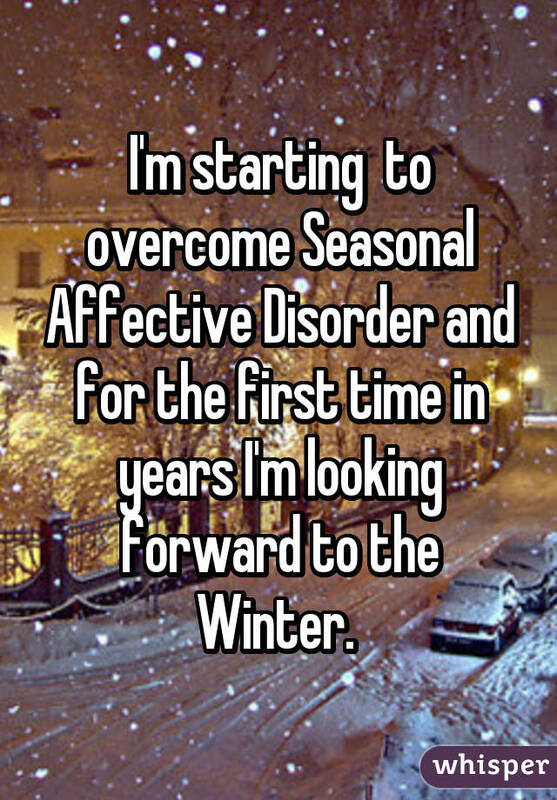 As days become shorter and nights become colder, those with SAD suffer more and more. 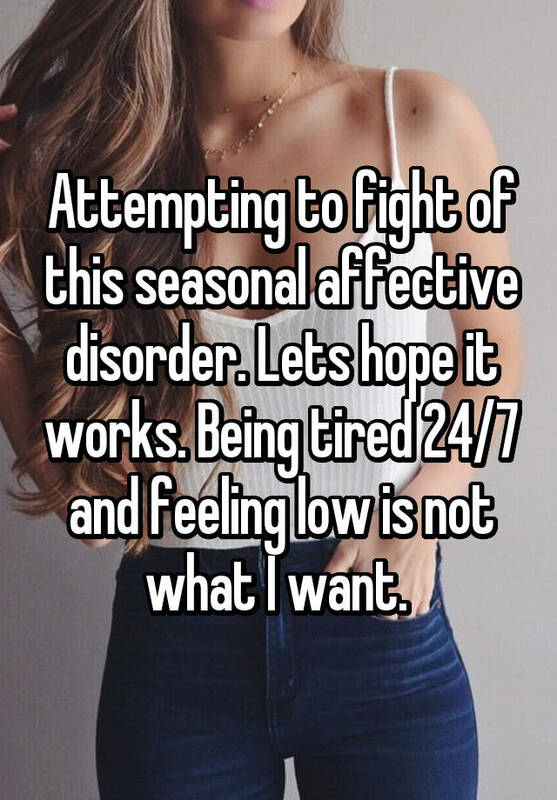 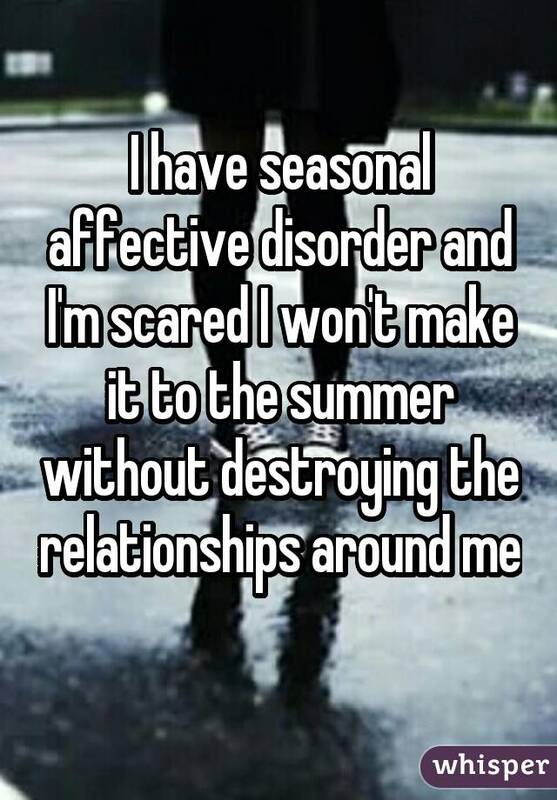 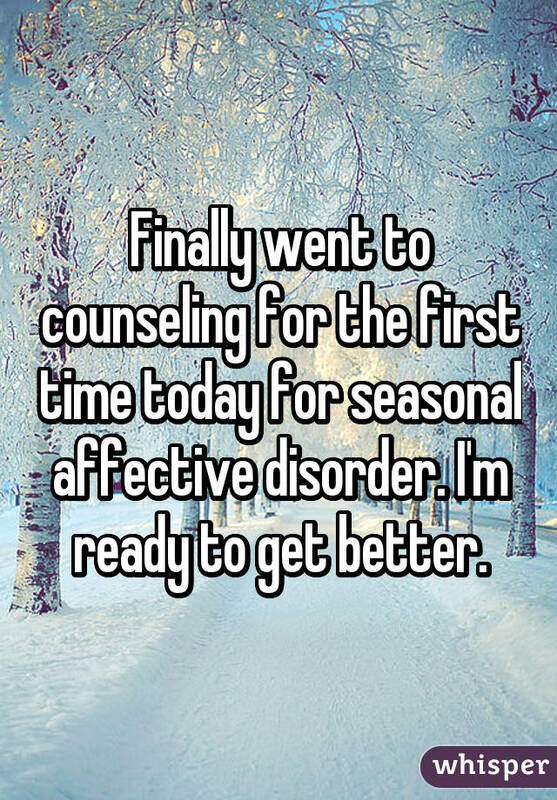 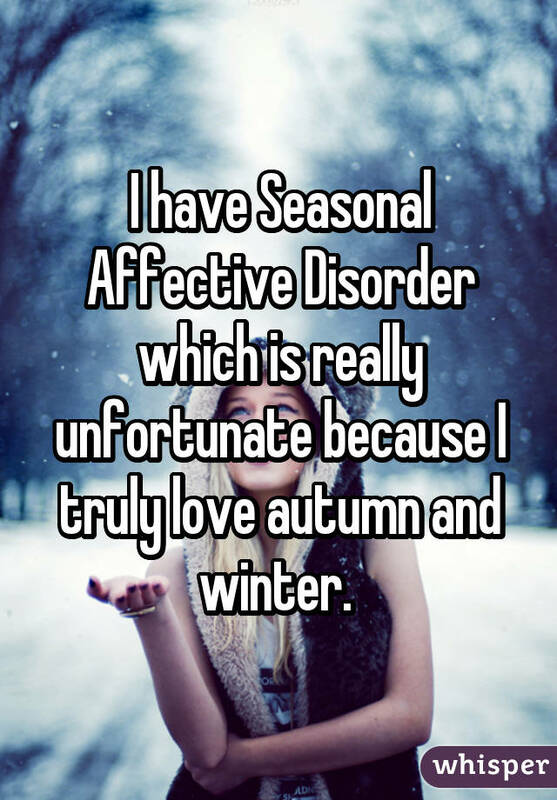 Several people who have SAD took to Whisper, the popular app that provides an anonymous platform for people to share their most honest thoughts, to share what it's really like to have seasonal affective disorder.